THE CENTRAL BANK’S deputy governor has predicted that Brexit could be one of the most significant events to affect the Irish economy in a generation. Speaking at Dublin City University’s Brexit Institute Ed Sibley highlighted the impact a hard Brexit would have on the Irish financial services system if UK firms can no longer avail of the financial services passport to offer their services into Ireland and Irish firms can no longer passport their business into the UK. Sibley said the insurance and funds spheres in Ireland will be most drastically hit by the inability to passport between the UK and the rest of the EU due to the level of business conducted with UK. “The full significance is almost impossible to predict at this stage, not least given the high degree of uncertainty surrounding both the short-term arrangements and the longer- term relationship between the UK and the EU,” he explained. As regulators, we see enormous challenges ahead, both for ourselves and for the firms that we supervise. As Brexit negotiations play out there are risks that UK and Gibraltar-based insurers passporting into Ireland will lose their ability to continue to provide insurance cover, including collecting premiums and negotiating and settling claims on any outstanding insurance contracts. 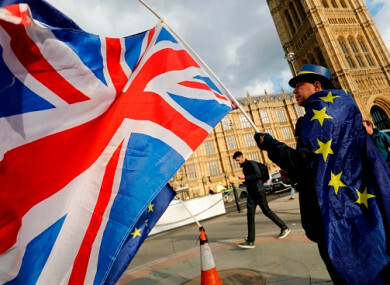 Sibley said that Britain exiting the EU will have a significant effect on financial services regulation in Europe, both in terms of how policy is developed, but also on how the financial services sector is overseen. Because of the importance of London as a financial hub he called on the EU not to introduce barriers to markets where key risks can be managed appropriately. Sibley concluded his speech by providing details of a recent survey of regulated insurance companies’ preparedness for Brexit. Nearly 200 companies responded to the survey and almost 75% of them think Brexit will have no impact on them. “Given the level of uncertainty and the range of challenges we have heard about today, this is an astounding number,” Sibley said. Email “'Most significant event in a generation': Central Bank chief issues Brexit warning for Irish economy”. Feedback on “'Most significant event in a generation': Central Bank chief issues Brexit warning for Irish economy”.